This church is only a short distance from it’s more famous neighbour at Bere Regis but is certainly worth a visit in it’s own right. Another church which features in ‘1000 Best Churches’. The setting is wonderful beside the River Piddle. 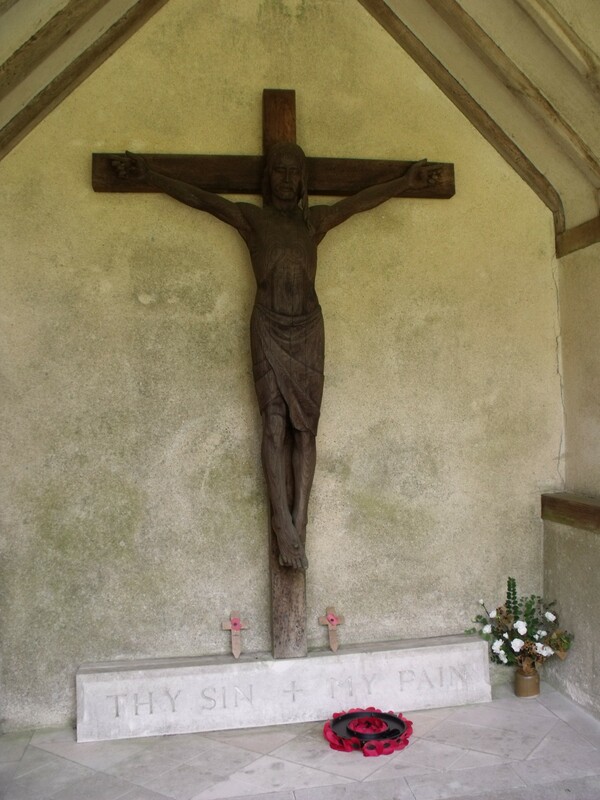 In the churchyard there is a Calvary – which forms part of a peace garden. The sign outside just gives details of the Sunday service here but the church does appear to be open each day. 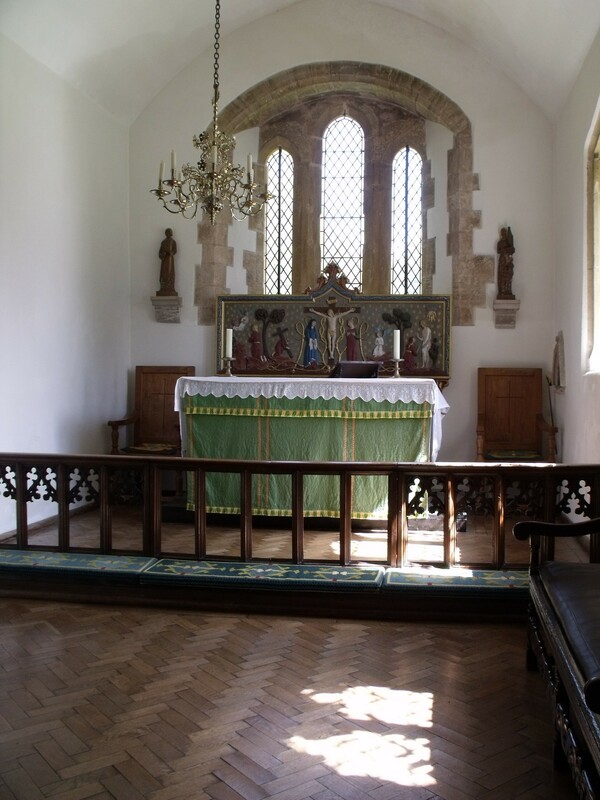 It is part of the same benefice as Bere Regis and the website is at http://www.bereregiswithaffpuddle.org.uk but is dominated by St. John the Baptist at Bere Regis with no visitor information about St. Laurence’s, which is a shame as both are well worth seeing. Inside I found that the guide had sold out but there is a ‘bat’ to wander around with. 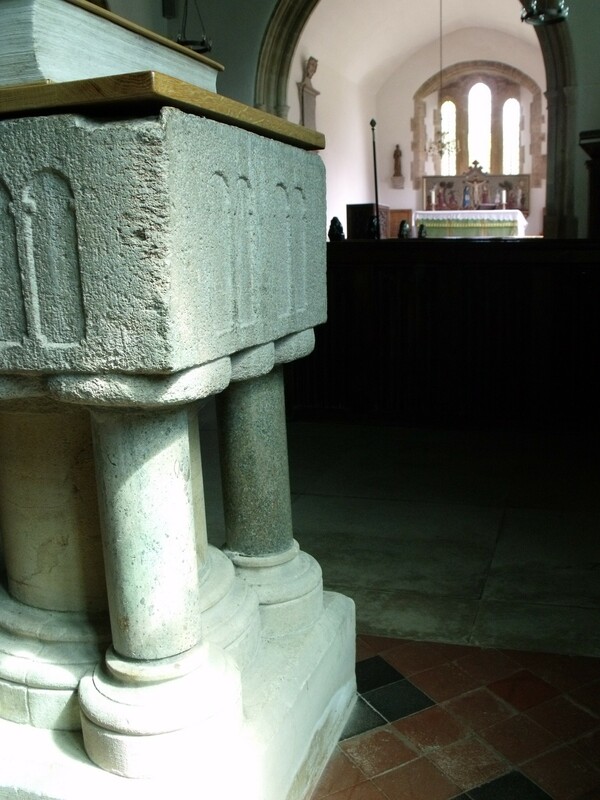 There is a prayer area here and some nice modern furniture – churches are often good patrons of furniture makers. 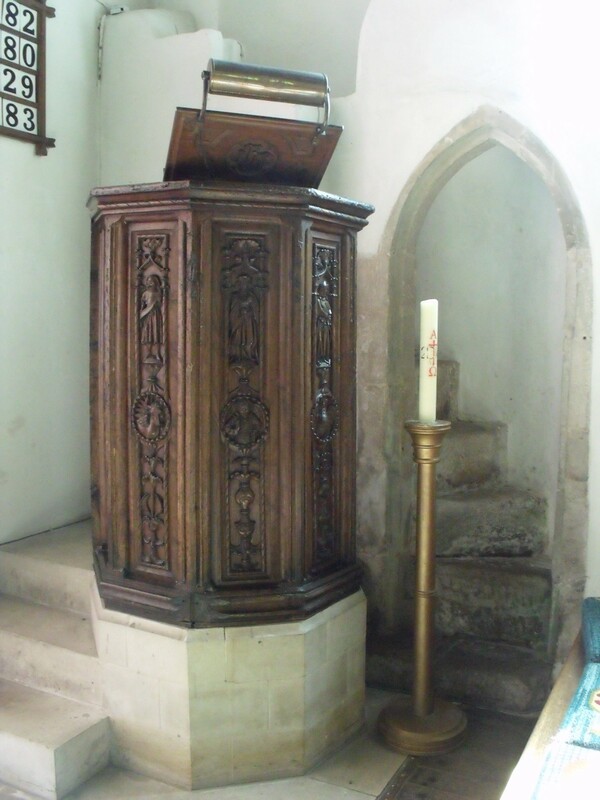 Prayer requests can be left here and some 8 people had signed the visitors book during July. 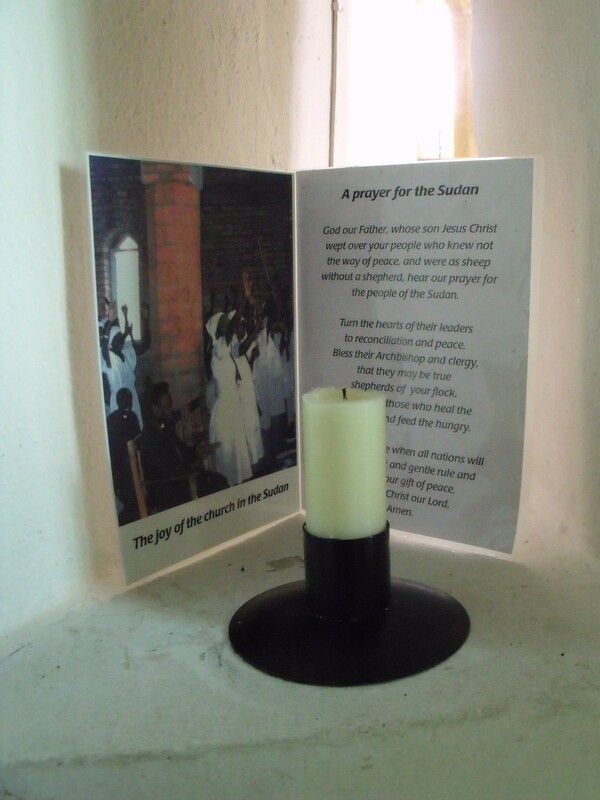 Also, there is a simple display about a link with Sudan – a place which needs much support and prayer. 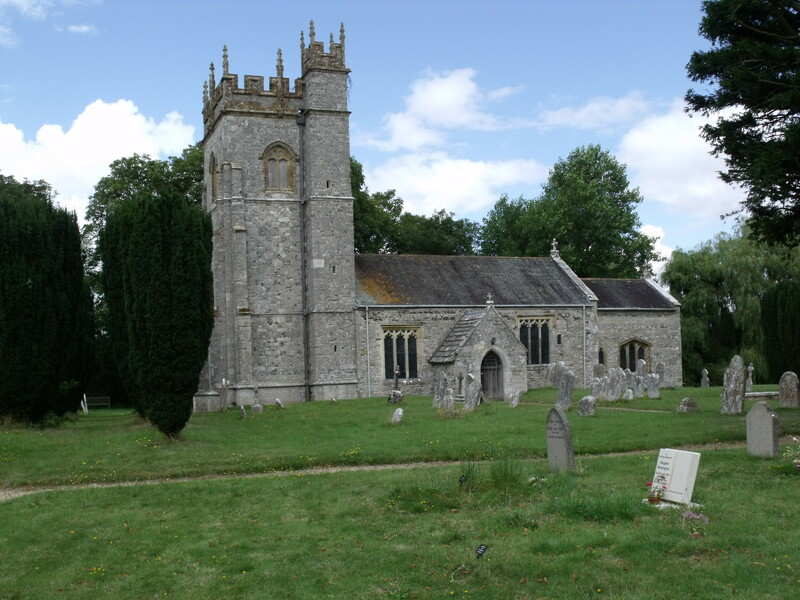 I rate St. Laurence as OK for the purposes of this study – it is a church with a wonderful atmosphere and the churchyard is a good place for a peaceful picnic – as I enjoyed mine there. Go and have a look.